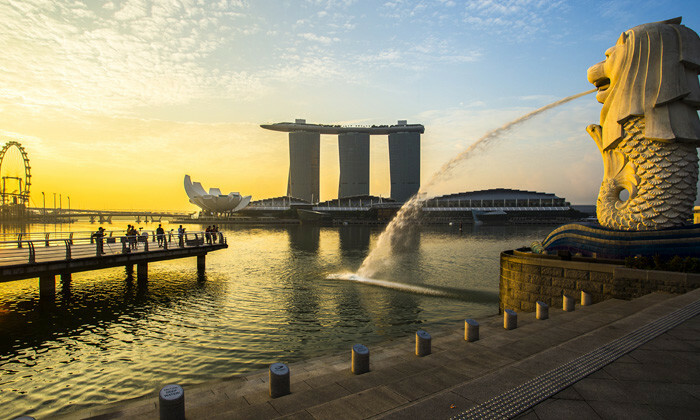 Full-time working Singaporeans earned 2.2% more in 2015 than in 2014 – registering a median monthly income (i.e. the 50th percentile) of S$3,250, excluding their employer’s CPF contributions. With employer’s CPF contributions included, median monthly income of full-time employed Singaporeans rose by 6.5% over the year to $3,798 in June 2015. 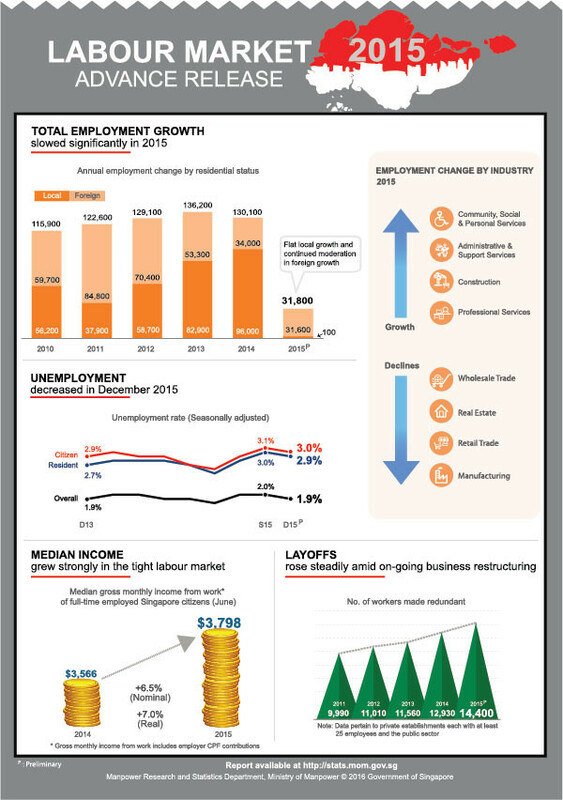 The data was provided in the Ministry of Manpower’s Labour Market Advance Release 2015, which provides preliminary estimates of key indicators on the manpower situation. Across the nation, growth in total employment slowed significantly in 2015, reaching the lowest since 2003, with 31,800 more workers added to the workforce – much lower than the 130,100 in 2014. Breaking down these 31,800 additional employees, about 31,600 were foreign workers, while about 100 were local workers. This implied that growth in local employees over 2015 was flat, or 0.0%, after growing strongly in 2014 (96,000 or 4.4%) and 2013 (82,900 or 4.0%). This brought the total number of employed persons in Singapore to 3,655,600 in December 2015, whereby of every three persons in employment (excluding foreign domestic workers), two were locals (66.2%) and one was a foreigner (33.8%). Apart from this, for the whole of 2015, unemployment stayed low averaging 1.9% overall, 2.8% for residents and 2.9% for citizens, broadly unchanged since 2011. Over the year, redundancies rose to 14,400 in 2015, going up steadily since 2010. The increase in layoffs stemmed from manufacturing (from 3,970 in 2014 to 5,000 in 2015) and services (7,260 in 2014 to 7,800 in 2015). The sectors which posted employment declines in 2015 were: manufacturing, retail trade, real estate services, and wholesale trade. However, these declines were offset by employment gains in most sectors – the highest of which were in community, social and personal services; administrative and support services; construction; and professional services. Other sectors that added workers in 2015 included food and beverage services, information and communications, financial and insurance services, and transportation and storage. Here are six questions that candidates think are meaningless or flat out stupid. Do you think it is necessary to ask them? .. The drinks were flowing, the cameras were out, and Singapore's HR community were looking better than ever at last night's Human Re..
Thomson Reuters carried out a round of layoffs last week within its Singapore operations, as part of a global move to manage costs..
Low salaries and long working hours are the main reasons local professionals are leaving a higher number of jobs vacant. .. The new Office 2 administration block will add another 11,800 square meters of administration and office space, housing up to 700 ..